The South Oldham Fire Department is offering a free fire safety home inspection for residents in our fire district of Crestwood and surrounding communities. The program is voluntary for residents and in not regulated by any local fire codes or regulations. Contact the station at 241-8992 Monday - Friday from 9-5 to schedule an inspection. Starting in 2019 the KNOX Company will be transitioning to paperless ordering. South Oldham Fire Department may still hand out its paper order forms to persons or organizations wishing to order a KNOX box or other KNOX products while supplies last. To purchase product on the Knox website, click on the red ‘BUY’ button and follow the prompts. Depending on the installation address of your Knox product purchase, you will either purchase your products directly from the website on your first visit, be asked to return to the site to complete your transaction once your approving public safety agency has reviewed your product selection or, you will be asked to obtain and submit a Knox Authorization Order form directly to that same approving agency. 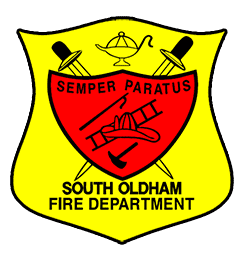 Step 2: Type in local fire department/agency servicing the installation location, for department name enter “South Oldham Fire Dept” OR enter installation address where product will be installed. Selection of an incorrect department may result in a $25.00 re-key fee. Note: Some Emergency Response Agencies require pre-authorization of your order prior to the sale. If you are paying by credit card, you can fax the Authorization Order form directly to the Knox Company. If you fax your order, please DO NOT mail the original form to the Knox Company as it can cause duplicate orders. Fax completed form to: (623) 687-2290. A smoke alarm is critical for the early detection of a fire in your home and could mean the difference between life and death. Fires can occur in a variety of ways and in any room of your home. But no matter where or how, having a smoke alarm is the first key step towards your family’s safety. This document is not intended to be all inclusive, but it is intended to inform the reader about some of the safety aspects and importance of having and maintaining working smoke alarms. Click HERE for useful information on types of detectors, how they work, where to install and much more information about them. According to the United States Fire Administration, more than 600,000 residential fires occur annually, resulting in $5 billion in property damage. In addition, an estimated 1,000 children age 14 and under die and another 11,400 are injured in residential fires each year. More than 60 percent of these children are age 4 and under. Most people vastly underestimate the importance of having working smoke detectors in their homes. The reality is that smoke detectors can often mean the difference between life and death. Your chances of dying in a fire are cut in half by the presence of a working smoke detector. · Place a smoke detector in and near each bedroom or sleeping area. People sleeping have the greatest risk of dying in fires. Toxic gases and smoke lull them into a deeper sleep, eventually killing them. · Place a smoke detector on each level of the home. If you live in a multi-level home, one on every level can provide up to three minutes to escape. · Position smoke detectors on ceilings or high walls. Smoke rises, so detectors should be placed high and close to the middle of the room. · Do not place the smoke detector on a wall that faces the outside if you live in a poorly-insulated or mobile home. The temperature of the wall may vary and cause the detector to malfunction. · Position the detector away from cooking or furnace fumes, fireplace smoke and dust to reduce unwanted alarms. The best location is three feet away from an air vent or air conditioning unit since they can inhibit the detector's ability to sense smoke. · Test detectors once a month. Follow the manufacturer's guidelines for testing and maintenance. · Clean the detector regularly. Dirt can "confuse" the detector and lead to false alarms or impair its ability to detect smoke. · Replace the batteries in your detector at least once a year. The best way to remember to change the batteries in your smoke detector is to change them when you change your clocks to Daylight Savings Time. - In 2016, U.S. fire departments responded to an estimated 1,342,000 fires. These fires caused 3,390 civilian deaths and 14,650 civilian injuries. In the same year, 69 firefighters were fatally injured and 62,085 firefighters experienced non-fatal injuries while on duty. ​- On average, U.S. fire departments responded to: f A fire every 24 seconds f A structure fire every 66 seconds f A home fire every 90 seconds f An outside or unclassified fire every 48 seconds f A highway vehicle fire every 182 seconds On average, fire claimed nine lives every day. - Cooking is the leading cause of home fires and home fire injuries and the second leading cause of home fire deaths. Unattended cooking is the leading factor contributing to these fires. Frying poses the greatest risk of fire. More than half of all cooking fire injuries occurred when people tried to fight the fire themselves. - Intentional fires were the fourth leading cause of home fires. 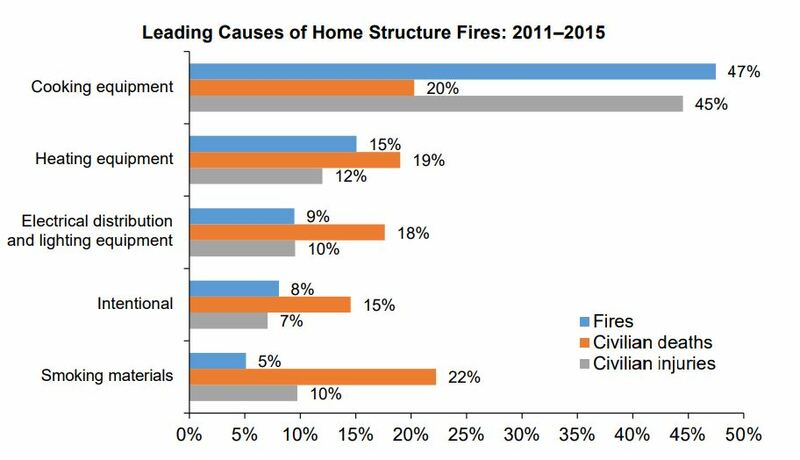 Intentional fire setting was blamed for 8% of home fires, 15% of home fire deaths, and 7% of home fire injuries. According to FBI statistics, nearly one out of every three people arrested for arson in recent years were under 18. Plan Ahead. If a fire breaks out in your home, you may have only a few minutes to get out safely once the smoke alarm sounds. Everyone needs to know what to do and where to go if there is a fire. Because fire sprinklers react so quickly, they can dramatically reduce the heat, flames, and smoke produced in a fire. Properly installed and maintained fire sprinklers help save lives.Fire sprinklers have been around for more than a century, protecting commercial and industrial properties and public buildings. 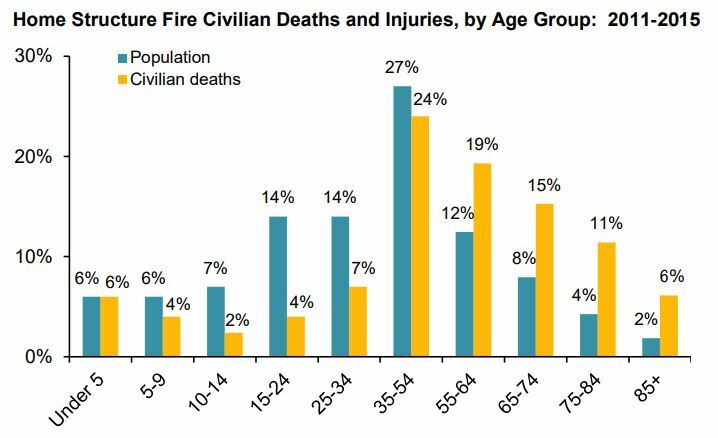 What many people don't realize is that the same life-saving technology is also available for homes, where roughly 85% of all civilian fire deaths occur. ​Sprinklers decrease the fire death rate per 1,000 reported home fires by about 80% and the average loss per home fire by about 70%. NFPA’s Fire Sprinkler Initiative: Bringing Safety Home is a nationwide effort to encourage the use of home fire sprinklers and the adoption of fire sprinkler requirements for new construction. See www.firesprinklerinitiative.org. 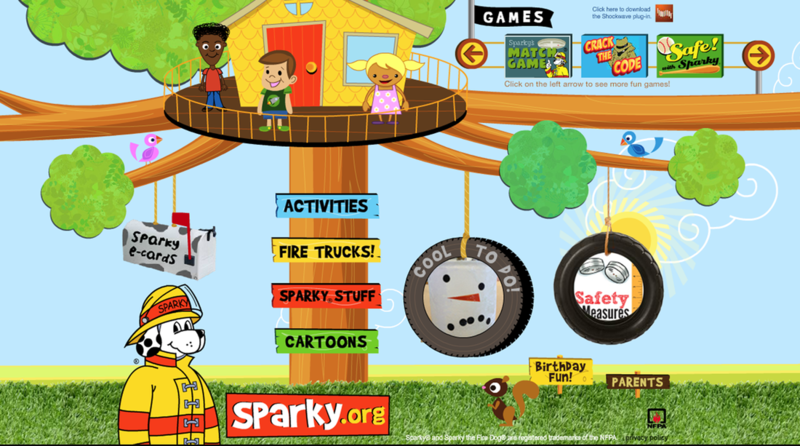 ​Check out Sparky.org for interactive activities to help your kids learn about fire safety.